Not sure if you should stop using the DiSC Classic profiles you’ve been using? A little nervous about getting approval for using a slightly more expensive product? Here are ten reasons you can use to justify making the switch. Comparison reports are only available with the circle model. 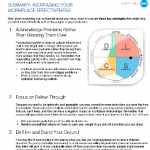 These reports are especially valuable for improving reporting relationships, building teams, and reducing conflict. The reports feel more personal and relevant to the participant. The circle model reports used in Everything DiSC profiles are based on about 80 adaptive testing items instead of the 28 used by DiSC Classic. The circle model is measured on eight scales compared to the four of the graph model. This makes for a more precise assessment. 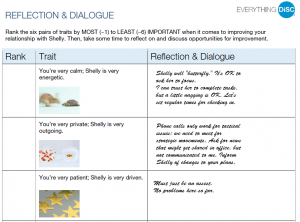 The richer narrative report and engaging visuals better hold the interest of participants. Group discussions flow more naturally. The circle model is more intuitive and memorable. The shading of the circle better illustrates how we are all D, i, S, and C. The circle model clearly illustrates how we are capable of adapting our behavior and are not stuck in a preferred style. The circle model is application focused. Are you working on management issues? Then you can use Everything DiSC Management. Want to improve sales or customer service? Then you’ll want to use Everything DiSC Sales. 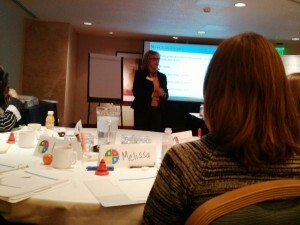 Coaching a new leader or working with a group of managers? You should look at Everything DiSC Work of Leaders. 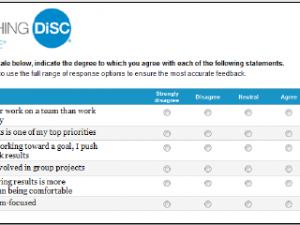 For most other purposes Everything DiSC Workplace will serve you best. Robust DIY trainers’ kits mean you don’t have to hire a consultant to administer and score the assessment or to train participants. The videos included in the kits are contemporary and better reflect today’s workplace. The assessment is easier to take, especially for people whose English is not their first language. The questions don’t force you to choose from four words the two which describe you most and least. It uses a rating scale which is much easier for most people. Most of the profiles have been updated to use the adapted testing method, providing even greater accuracy and a more personalized report. The profiles provide participants a language for discussing their differences and discovering the value of those differences. i wanted to use your rss-FEED but feed site showing me some Xml errors.. Thanks for your interest in our blog. The RSS feed is having its share of problems. We’re working on it. Thanks for letting us know. You need to contact Inscape Publishing’s International team. 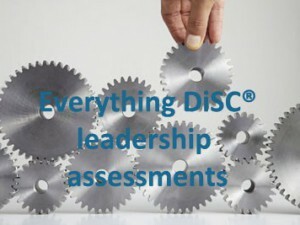 DiSC Classic has advantages over EDWP that are not mentioned on this page: (1) EDWP may only report one high trait – D, i, S or C. There are always two high traits, not just one, in DiSC Classic; these 2 provide more depth of understanding. (2) A comparison of Graphs I and II in DiSC Classic allows the taker to understand how his behavior changes when he is stressed or under pressure. I don’t think this feature is available in EDWP. (3) A DiSC profile can be compared to 15 classical DiSC profiles in DiSC Classic but not in EDWP. 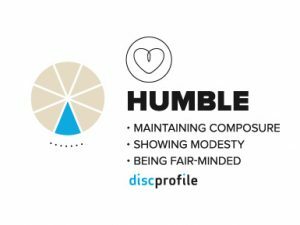 The 15 classical DiSC profiles provide takers with handy templates to understand other members of their team, when team members take the DiSC Classic version together. I’m undecided about which is better to use: DiSC Classic which is cheaper and has these benefits or EDWP which has other benefits but costs more.